Marin Nazi hunter vows fight to end to indict doctor – J. 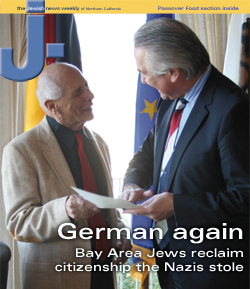 Five years ago, Greenbrae dermatologist and Nazi hunter Dr. Michael Franzblau announced he was launching the "last hurrah" of his campaign against former Nazi, SS member and accused war criminal Dr. Hans Joachim Sewering. It certainly has turned out to be the mother of all hurrahs. The 74-year-old Franzblau has taken his case to the floor of the U.S. Congress and has made eight trips to Germany in hope of landing charges of murder against Sewering. In the early 1940s, Franzblau claims the doctor knowingly signed orders transferring more than 900 mentally and/or physically disabled German Catholic children to certain death in a "healing center." Franzblau, a national commissioner in the Anti-Defamation League who recently retired from his private practice, now says his crusade will not end until the 84-year-old Bavarian is brought to justice or one of them is dead. 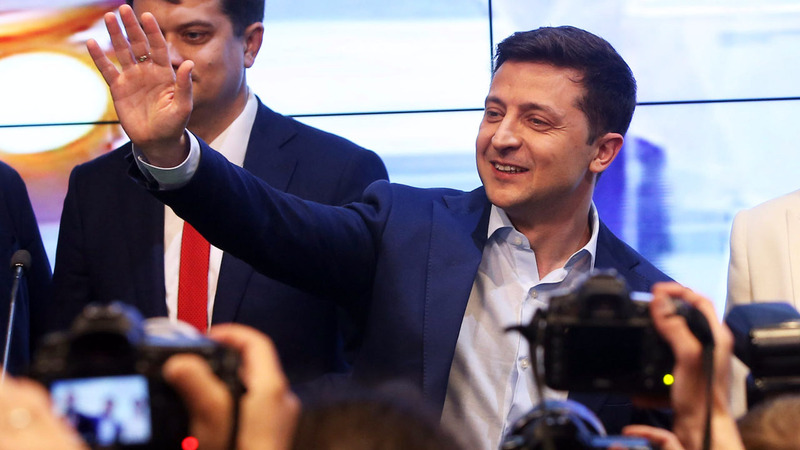 "This man has garnered every honor that Germany can offer," said Franzblau of his antagonist, who is still in practice as a chest doctor in the infamous city of Dachau. "He has been given the German equivalent of the civilian Medal of Honor three times. He was the president of the German Medical Association, treasurer of the World Medical Association and, before I even knew about him, president-elect of the World Medical Association, which is committed to raising medical ethics around the world as a result of the Nuremberg trial. "This one man who represents all of German medicine represents everything in a physician that I find evil," Franzblau added. "In my judgement, he's getting away with murder and I don't want him to. "The whole problem will be solved within the next 10 to 15 years, because both Sewering and I will be dead. But I don't plan to stop." Since Franzblau orchestrated protests leading to Sewering's resignation in 1993 as president-elect of the WMA (which Sewering subsequently blamed on a "world Jewish conspiracy), the Bay Area doctor has experienced many frustrations in dealing with the German government; Franzblau said the government has "stonewalled" him. He has had better luck with the U.S. government. A House resolution co-authored by Rep. Lynn Woolsey (D-Petaluma) imploring the German government to fully investigate Sewering's actions passed by a 423-0 count in October 1998. During U.N. Ambassador Richard Holbrooke's Senate approval hearings in July 1999, Sen. Barbara Boxer submitted a written question to Holbrooke regarding Sewering. Holbrooke told Boxer, a Democrat from Greenbrae, that he would "personally resolve himself" to seek justice in the matter. Finally, in April, the clinical professor of dermatology who gives lectures on medical ethics across the nation met with Thomas Testegen, Germany's Washington, D.C., consul general, who "said he'd do everything he could to help me." "I think he is genuine and we've stayed in touch," Franzblau said. Officials within Germany's borders have been less helpful. Franzblau possesses a 1943 order signed by Sewering transferring a 14-year-old epileptic named Babette Frowiis to the Eglfing-Haar Healing Center, where she, along with hundreds of other victims, was systematically starved and drugged to death. Nuns and a fellow doctor who worked with Sewering at the Schoenbrunn Sanitarium later testified he knew signing this order was tantamount to a death sentence. Sewering has repeatedly denied these allegations. Franzblau believes hundreds of similar records are still extant in Germany, but despite employing a Munich attorney since 1996, he has not yet been able to rouse the German government to make even a cursory search for the documents. He has, however, contacted Frowiis' brother, Wilhelm. Under German law, Wilhelm Frowiis is known as a Nebenkleger, meaning he is eligible to sue for pain and suffering experienced during the Nazi regime. Meanwhile, Franzblau's Munich lawyer continues to press Wilhelm Frowiis' claims, and when legal avenues within Germany are exhausted, he will take the case to the European Court for Human Rights in Strasbourg, France. If and when Franzblau takes his case to Strasbourg, the suit will actually target the Bavarian minister of justice on charges of obstruction of justice. Franzblau said Sewering, who is a former elected official, has "friends in high places," who have made the going tough. He believes Bavaria's Christian Social Union Party has taken steps to prevent the unmasking of one of its own as a war criminal. "In my judgment, the last thing they want to do is conduct a sincere and honest inquiry leading to an indictment," said Franzblau. "They would like to erase the years 1933 to 1945 as if they didn't exist. I don't plan to let them." Franzblau's task is by no means an easy one, but he says it's one he feels he must continue if, for no other reason, than the sake of his family. "My motivation is not personal vindictiveness but, in a small way, the ability to atone for the murder of 26 members of my own family [in the Holocaust]," he said. "Dr. Sewering celebrates his 85th birthday on Jan. 30, 2001. He's hale, hearty, still practicing medicine and shows no sign of remorse. "I plan to stay with this until there's nothing else to be done."